Suicide rates have been rising throughout the United States, according to the latest report by the Centers for Disease Control and Prevention, in 2016, nearly 45,000 Americans age 10 or older died by suicide. A recent study also shows that suicide rates among women are rising faster than men. However suicide is rarely caused by a single factor. Your pharmacist is more than just someone who dispenses prescription drugs… they do a lot more. A pharmacist is a trained expert in managing minor illnesses and advising on using medicines safely. They also conduct health and wellness screenings, provide immunizations, oversee the medications given to patients, and provide advice on healthy lifestyles. Join Aretha Franklin and Lou Rawls along with 20 legends of R&B, Motown and soul, including Gloria Gaynor, The Manhattans, Edwin Starr,Peaches & Herb, The Spinners, Thelma Houston and many more. Joe Bonamassa's love of the British Blues is at the heart of his musical inspiration; and, for the first time, is pleased to announce a special homage to the British blues rock guitarists that inspired him - Eric Clapton, Jeff Beck and Jimmy Page. "If it wasn't for certain British musicians of the early 1960s, the Blues may well never have exploded into Rock music as we know it today, and indeed may have passed into history," says Bonamassa. Eric Clapton, Jeff Beck and Jimmy Page are some of the greatest guitarists of their time that influenced Joe Bonamassa's career. All three are Yardbirds alumni, and indeed actually all played together at one time in the same band. Jimmy Page went on to form Led Zeppelin, which became the ultimate electric Blues band and both Eric Clapton and Jeff Beck became international superstars in their own right. Now, Blues superstar, Joe Bonamassa, will pay tribute to these legends of the British Blues, in a stunning live concert entitled JOE BONAMASSA - BRITISH BLUES EXPLOSION LIVE, which was recorded at the Old Royal Naval College in Greenwich, London in July 2016. Join Patti LaBelle for an all-star reunion of the legends of 1970s Motown, R&B and soul, including the Commodores, original lead Eugene Record reuniting with the Chi-Lites, the Stylistics, Yvonne Elliman, Heatwave, the Trammps and the Emotions. This unique concert film offers viewers a front row seat and exclusive backstage pass to superstar Michael Buble's visually thrilling and musically triumphant To Be Loved Tour, which was seen worldwide by two million fans in 2015 over the course of an epic schedule of 172 concert dates. The richly atmospheric film spotlights Buble's charismatic gifts as an entertainer and showcases thrilling live performances of the Grammy Award winning singer-songwriter's biggest hits, including "Home," "Haven't Met You Yet," "Cry Me A River" and "Feelin' Good." In addition, the performance sequences are intercut with exclusive cinema verite-style footage of what it took for Team Buble to travel this movable musical feast from arena to arena over the course of a two-year span. CRAFT IN AMERICA visits America's premier craft artists in their studios to witness the creation of handmade objects and into homes, businesses and public spaces where functional art is employed and celebrated. Using archival footage and interviews with some of the top artists in the country, the two-part series showcases the breadth and beauty of handmade objects in our culture. 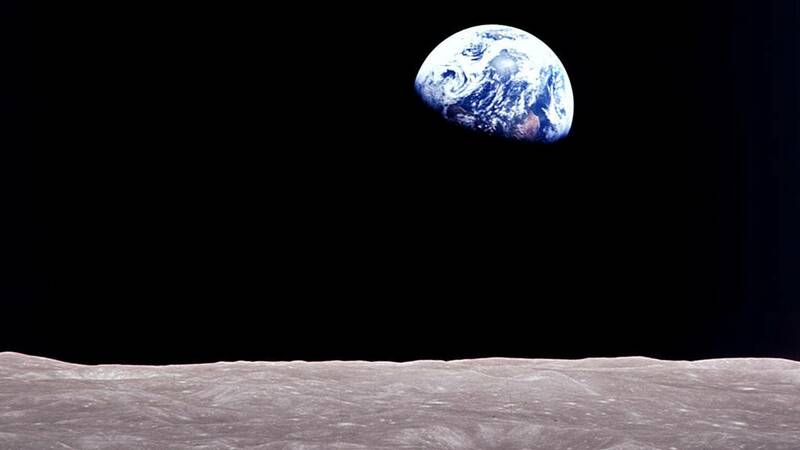 Hear Apollo astronauts and engineers tell the inside story of how the first mission to the moon, Apollo 8, pioneered groundbreaking technologies that would pave the way to land a man on the moon and win the space race. Celebrate Leonard Bernstein's 100th birthday with this tribute concert at Tanglewood. Featuring the Boston Symphony Orchestra, the concert is hosted by Audra McDonald and includes guest artists Midori,Yo-Yo Ma, Thomas Hampson and more.